Taipei, Taiwan (April 10, 2019) — ASUS today opened its booth at the National Association of Broadcasters (NAB) Show 2019, showcasing its comprehensive lineup of displays, mini PCs, workstations and laptops to provide world-class content-creation experiences for professionals involved with video production, 3D design and rendering, and photography and graphic design. Products on display include ASUS ProArt PA32UCX and PQ22UC, the world's first computer displays to support Dolby Vision™. "We are incredibly excited and proud to launch ASUS ProArt PA32UCX and PQ22UC, which are the world's first computer monitors to support Dolby Vision," said Vincent Chiou, Associate Vice President of the ASUS Display Business Unit. "We know that color accuracy is important both to professional designers and today's demanding consumers, and our new ProArt displays ensure that both user bases are not only satisfied but will be treated to experiences beyond their expectations." Dolby Vision transforms entertainment experiences with ultravivid picture quality, providing incredible brightness, contrast, color and detail to bring entertainment to life. When compared to a standard picture, Dolby Vision can deliver colors never before seen on a screen, highlights that are up to 40 times brighter, and blacks that are 10 times darker. "ASUS ProArt PA32UCX and PQ22UC are the first computer monitors to support Dolby Vision, which will enable professional users and consumers alike the ability to experience Dolby Vision with greater ease," said Taeho Oh, Vice President, Imaging Business, Dolby Laboratories. "The result is a refined, lifelike image so vivid that it will make users feel as if they are looking through a window. We look forward to seeing the ASUS ProArt monitors deliver this enhanced level of capability with Dolby Vision to users worldwide." Visitors to NAB 2019 are welcome to visit the ASUS booth (No. SL15110) to experience these latest displays and a full lineup of other products designed for content creators. 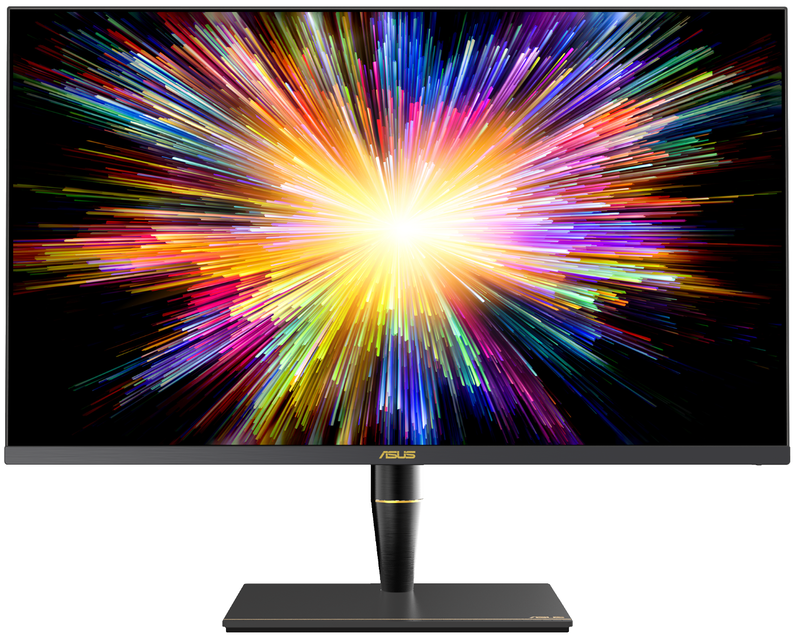 ASUS ProArt PA32UCX is the world's first 32-inch 4K UHD HDR monitor with peak brightness of 1,200 nits and mini-LED backlighting: this enables 1,000+ zones of local dimming control and support for multiple HDR formats, including Dolby Vision, HLG and HDR-10, enabling the display to produce the brightest whites and the deepest blacks with sharper, more detailed visuals. With true 10-bit color and quantum-dot technology that support DCI-P3, Rec. 709, Rec. 2020 and Adobe RGB wide color space and a rich selection of connectivity, including dual Thunderbolt™ 3, DisplayPort and three HDMI 2.0 ports, PA32UCX is perfectly designed for studio workflows. 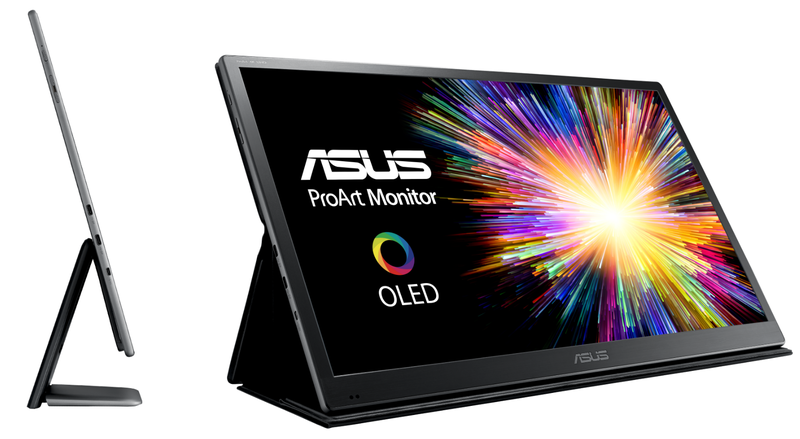 ASUS ProArt PQ22UC is a 21.6-inch OLED portable monitor with 4K UHD (3840 x 2160) resolution and support for multiple HDR formats including Dolby Vision, HLG and HDR-10, designed to deliver accurate color reproduction with exceptional contrast and detail for photographers, video editors and any professional content creators with color-critical workflows on the go. Including a micro HDMI and dual USB -C™ ports, its compact, portable design with an easily detachable stand and smart cover enables professionals to work on location or showcase their work to clients without sacrificing visual quality. Featuring an advanced OLED panel with billions of independent, pure-RGB, self-illuminating pixels and an outstanding 1,000,000:1 contrast ratio, ProArt PQ22UC reproduces truly lifelike images with 99% DCI-P3 gamut coverage in deep blacks and tonally accurate highlights. Its 4K UHD resolution panel with a pixel density of 204 ppi provides up to 300% more on-screen space than other FHD monitors of a similar size, giving users more room to work while displaying content with incredible detail. With a response time as low as 0.1ms, ProArt PQ22UC is the fastest monitor in the market and delivers outstanding, blur-free performance when displaying videos and other animated content with fast action. ASUS is a multinational company known for the world's best motherboards, PCs, monitors, graphics cards and routers, and driven to become the most-admired innovative leading technology enterprise. With a global workforce that includes more than 5,000 R&D professionals, ASUS leads the industry through cutting-edge design and innovations made to create the most ubiquitous, intelligent, heartfelt and joyful smart life for everyone. Inspired by the In Search of Incredible brand spirit, ASUS won thousands of prestigious awards in 2018 and ranked as one of Forbes' Global 2000 Top Regarded Companies, Thomson Reuters' Top 100 Global Tech Leaders and Fortune's World's Most Admired Companies.